Magic Sandless Mat clearance – $9.99! 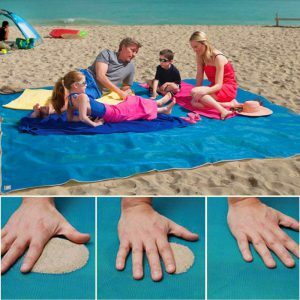 Magic Sandless Mat – No Sand Beach Mat is Also Great For The Lake, Picnics, etc. You get a large 6.5′ x 5′ mat for only $9.99 ($39.99 retail). Order 3 and the price drops to only $9.49 each. Shipping is Free. Relax on the beach without sand piling up on your beach mat! Order today for a winter vacation (lucky you) or get a head start on the cheap for next year!